TIG welding, also known as Tungsten Inert Gas welding, is a welding process that includes a tungsten electrode providing an arc shielded by an inert gas. The provided arc heats the metal, and once the metal reaches the proper temperature a filler rod is used to fill the weld joint by providing a puddle of molten metal. Shopping for these pieces of equipment is rather easy today as you can find TIG welding guns and TIG welding rods for sale online at affordable prices. There are two types of TIG welding – DC and AC. DC welding is used for all types of metal except magnesium alloys and aluminium, while AC welding is used for magnesium alloys and aluminium. 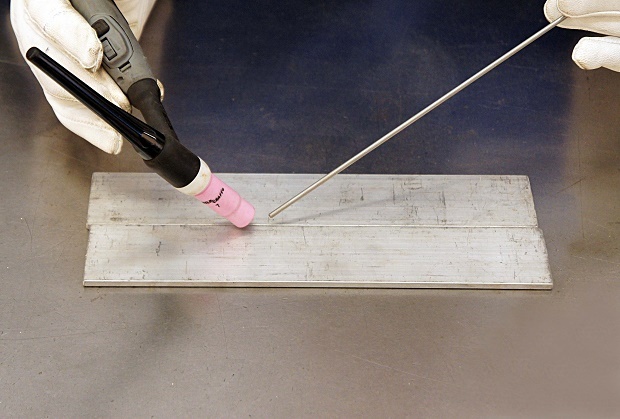 When TIG welding, you need to make sure you’re using the right TIG welding rods. As welding rods are consumable, you’ll find yourself looking for TIG welding rods for sale more often, especially if you’re welding different types of metal frequently. As aforementioned, TIG welding requires inert gas shielding. Most modern TIG welders feature an inbuilt gas valve that’s automatically turned on when the gun trigger is pressed. Usually, these welders have a pre-gas or post-gas feature that you can use to set up a time for releasing gas shielding before the weld has begun and to continue with gas shielding after the weld is done in order to prevent contamination. On the other hand, some models will require you to manually operate that valve. Every TIG welder has a different duty cycle rating, which basically implies for how long it can weld at a specific number of amps before it overheats or completely burns up the power source. In most countries, the duty cycle rating is based upon 10 minutes, so for instance, if a welder is rated at 250 amps/50% duty cycle, it means that it can weld at 250 amps for 5 minutes. In the remaining 5 minutes, the welder needs to cool down and be kept idle. As the amperage goes down, the duty cycle usually goes up. Moreover, TIG welders can start the arc in one of three ways – lift, HF and scratch start. Scratch start is one of the older arc starting methods and is associated with transformer type TIG welders. The lift starting method is also possible with inverter welders, and the tungsten is gently touched on the job. Once that happens, the control circuit senses the touch and it waits for tungsten to be lifted before igniting the arc. Lastly, the HF start allows the arc to start without the tungsten touching. This method is best used in situations where tungsten combination of the job is problematic, such as in pressure vessel welding. What Are the Most Common Welding Processes?